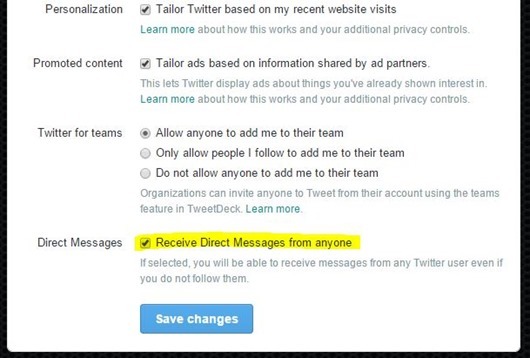 Twitter Update: Now Send Direct Messages to Anyone, Even If You Don’t Follow Each Other! As of now, the update is been rolled out for Twitter App for Android and iOS users. There is no such official confirmation about the update for the desktop users. But Twitter is expecting to increase the user base after this update of direct messaging. To activate this feature, just go to your Twitter account settings and you should find something like this at the end of the screen. Once you have the box checked, this feature will be activated for you. 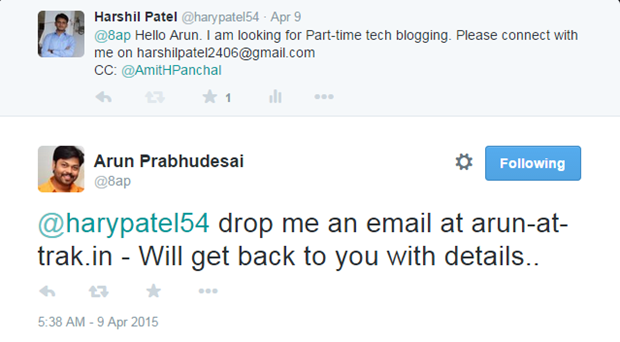 It was quite hard to hold my nerves because I was desperately waiting for his reply. If the same conversation was in the form of direct messages, it would have hardly taken few seconds to reply. Now that it is possible to send direct messages to the users that you don’t follow, it would be really helpful for the online brands to send some exciting offers to the customers all around the world. The same is being done in the form of email marketing as there is no such way to connect with the customers to display their offers in today’s date. But now, with direct messages in place, it will be easier to connect them on Twitter. In fact, many businesses all over the world provide Twitter support which now makes it easy to keep the discussion confidential with their clients. Not just receiving the direct messages, but you can also reply to the same message irrespective of the person is following you or not. However, a word of caution. Popular personalities should try to avoid keeping this on, otherwise they will have incessant flow of DMs. The good thing is that Twitter gives the power in your hands, you decide whether you want to activate it or not! I’m a marketer myself. Still, I think using this for promoting your brand isn’t the best of ideas if you’re expecting something out of it. It shouldn’t open up another spamming channel & I personally wouldn’t use it ever to reach out to somebody with offers and things like that. However, I do see a lot of opportunity in terms of engaging with potential influencers who can be beneficial to my business and establish contact with them. Again, this is largely applicable in B2B but then, that’s a huge benefit. There was one change made yesterday. Now Twitter doesnot allow you to signup without mobile number.